Rev. 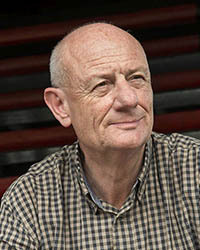 Tim Costello AO is one of Australia’s best known community leaders and a sought-after voice on social justice, leadership and ethics. For 13 years Tim was Chief Executive of World Vision Australia, where he now holds the role of Chief Advocate. In addition Tim is Chair of the Community Council of Australia, and a member of the Multi-Stakeholder Steering Committee of the EU-Australia Leadership Forum; Australian National Development Index; Concern Australia Advisory Group and the Campaign for Australian Aid. Tim is a founding board member and spokesperson for the Alliance for Gambling Reform. In earlier roles, Tim was National President of the Baptist Union of Australia and Mayor of St Kilda. He has been a Baptist Minister and Executive Director of Urban Seed. Tim studied law and education at Monash University, followed by theology at the International Baptist Seminary in Switzerland. He received a Masters degree in theology from the Melbourne College of Divinity. In 2006 Tim was named Victoria’s Australian of the Year, in June 2005 he was made an Officer of the Order of Australia; in 2004 he was named Victorian of the Year; and in 1997 he was named as one of Australia’s 100 National Living Treasures. Tim will be addressing Social conscience on Wednesday in Session 11.